As the world grapples with the social and environmental impacts of transit, new design solutions that seemed incredible just a few years ago are now drawing very close to reality. 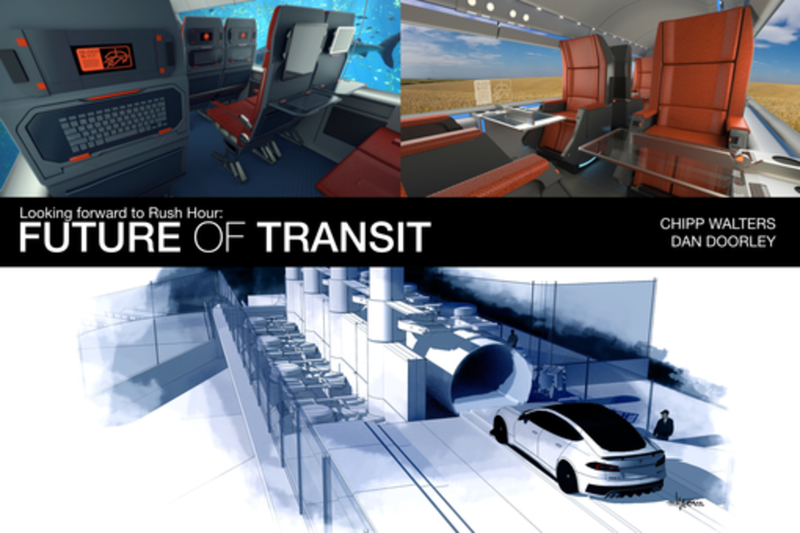 This panel will explore some of the most provocative and exciting ideas and trends in transportation design, with expert panelists drawing on experiences designing Autonomous Cars and the ubiquitous Hyperloop to give the audience a view of what to expect in coming months. Walters is an Industrial Designer who's as comfortable designing/coding software as concept designing next generation products. Early in his career, he was fortunate to co-found and CEO the Industrial Design firm Design Edge and the software design company Human Code, the latter which grew to 500+ with offices in San Francisco, Austin, Tokyo and Shanghai, and eventually sold to Sapient. He has spent time the last few years designing and implementing K-12 LMS'es which have helped millions of at-risk children in schools throughout this country not fall behind. Chipp is now working at argodesign as a partner which affords him the ability to visualize and pursue some wonderful ideas with extraordinary people. Dan Doorley is a long-term automotive enthusiast, product designer and serial entrepreneur. He founded and was CEO of EDGE, an award winning international design consultancy focusing on advancing technology for safety, usability and innovation. HIs company worked on many programs from the design of the bridge for the US Coastguard Off Shore Cutter to user interfaces for SiriusXM. He has been involved in vehicle design and vehicle power systems for both commercial and combat vehicles, and is currently a Director of Altuit Design in Austin, New York and Palo Alto focusing on improving the user experience in education and digital technologies.